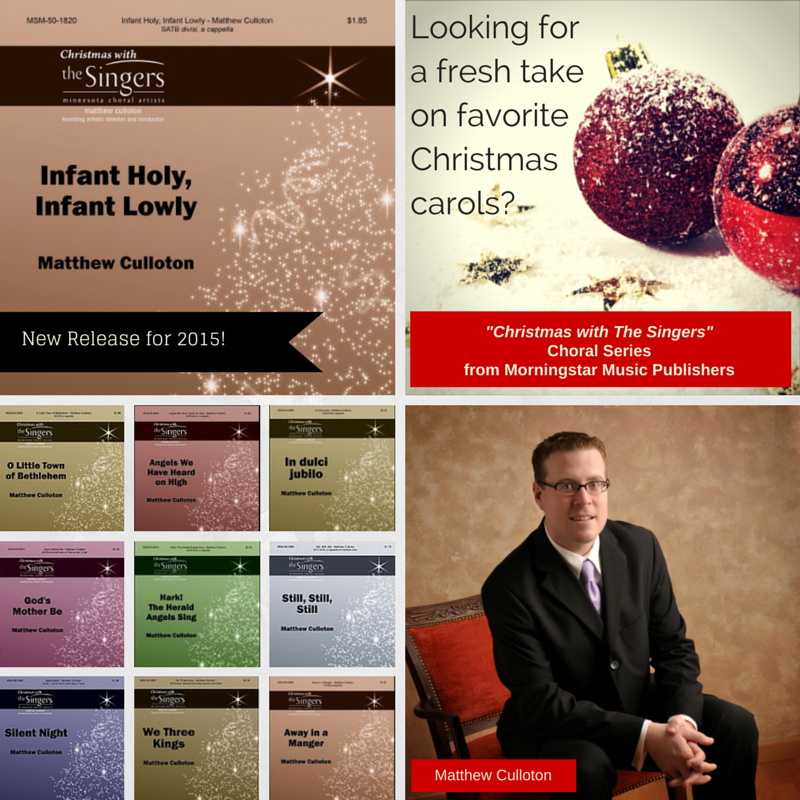 I am very excited to announce the release of four new Christmas publications through MorningStar Music! In Dulci Jubilo – I have now adapted my arrangement for TTBB and SSAA choirs! To see a complete list of published works, click here. Posted in Culloton Composing News on May 9, 2016 by matthewculloton. Posted in Culloton Composing News, Image format on May 25, 2015 by matthewculloton. I am very excited to have two new releases published this month, and I hope these may be of use to your choirs! This work is dedicated to the memory of the legendary choral director Paul Salamunovich and his favorite musical genre of Gregorian chant. The composer has written an original chant in the Gregorian style with undulating musical phrases shaped in the ancient style but with contemporary harmonic structures, creating both a familiar and yet unsettling new requiem. Published in the Dale Warland Choral Series. The familiar melody of this Polish carol appears in each of the voice parts while the rest of the parts sing a beautiful vocal accompaniment. Part of the popular Christmas with The Singers Series. Posted in Culloton Composing News on April 27, 2015 by matthewculloton. “Christmas with The Singers Choral Series” expands! As of April, 2014, the “Christmas with The Singers Choral Series” has expanded nicely! To see write-ups about each piece, as well as a link to the publisher’s website for the work, go to my Published Works List. I am very proud to work with Morningstar Music Publishers as editor of this series! Posted in Culloton Composing News on April 15, 2014 by matthewculloton.